Rent Two Rivers Country Club at Governor | Corporate Events | Wedding Locations, Event Spaces and Party Venues. 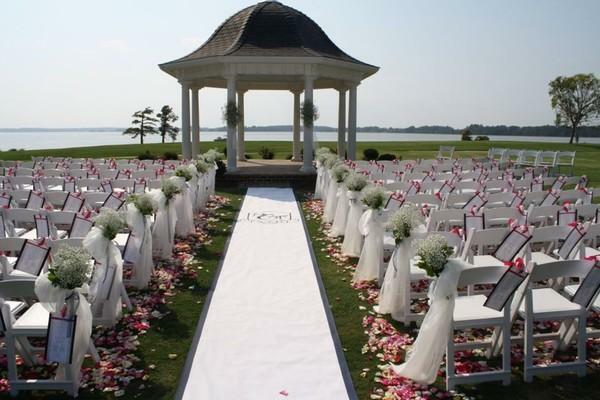 Let me introduce you to Two Rivers Country Club, a beautiful waterfront Private Country Club, with the banquet facilities over looking the James and Chickahominy Rivers. The atmosphere is simply breathtaking, and we would be honored to help make your dreams come true. wo Rivers Country Club can host your private event within the elegant rooms of the clubhouse or the splender of the outdoors, taking full advantage of the magnificent views. For events with up to 32 guests, the graciously appointed Governor’s Room offers an intimate setting that resembles a stylish private dining room or a sophisticated board room.